Of course a little retox with a glass of wine afterwards is always allowed. The biggest trend in wine country these days isn't the latest technology advances in winemaking or the up and coming varietals you've never heard of like Ribolla Gialla and Fruliano. In a word it's wellness. When it comes to balancing mind, body and spirit, look to Napa Valley wineries, vineyards, hotels and beyond for an array of innovative ways to detox. Of course a little retox with a glass of wine afterwards is always allowed. 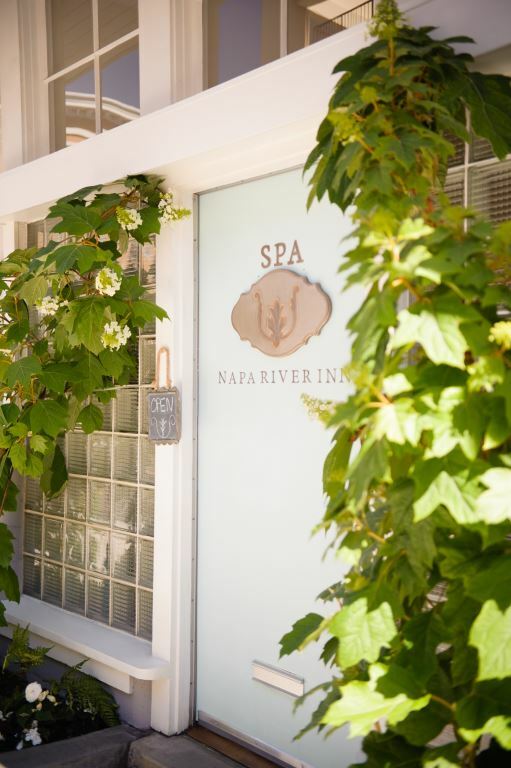 Upon arrival in Napa Valley, you'll want to make your first stop The Spa at Napa River Inn. Step into this jewel box of a spa retreat and you'll feel like you're worlds away. Hard to believe this little stand alone building was at one time the local Napa police station. Owner Jeanette O'Gallagher has created a calm oasis within. 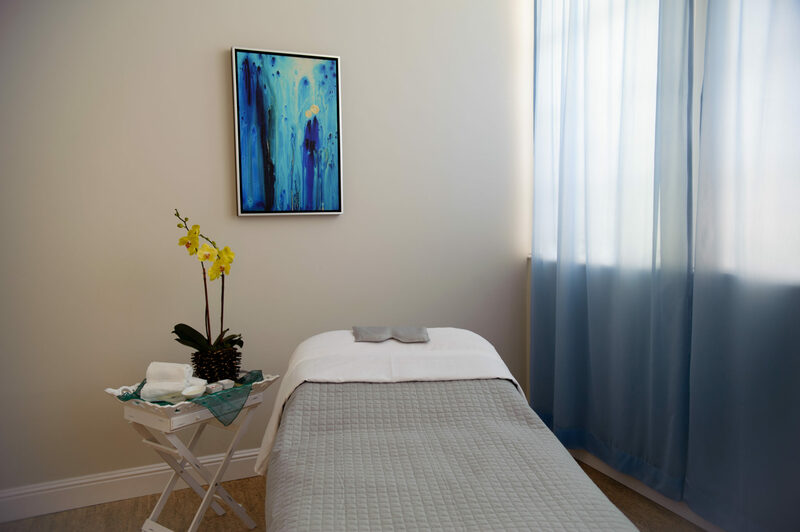 Recover from the stress in your life with the Adjust Your Frequency treatment, perfect for rebalancing after a journey. You can indulge in the signature grape experience Grape Love Body Polish, where you are rubbed down with a gentle scrub and slathered with a Cabernet body butter. Or, opt for pure head to toe pampering with the Be Pampered Body Treatment that includes a dry body exfoliation, hot oil hair and scalp and body treatment and a soothing massage. Jeanette's been in the spa business for many years, having created treatments at Auberge de Soleil and Meadowood resorts. She pioneered using grape seeds in skin and body care products. Jeanette's developed a beautiful collection of products called NV Organics, a paraben free line, with luscious body butters, oils and lotions that tap into the antioxidant power of grape seeds, used in many of the spa treatments. She also carries other local beauty and wellness lines, including 29 Cosmetics and Napa Valley Au Natural. I recently spent a weekend at the Westin Verasa in Napa to attend their annual Wine, Women and Wellness event which takes place during Women's History Month in March. The Westin sees the growing demand for fitness and wellness activities from their guests and have responded in several ways. This weekend kicked off with a celebration of women winemakers tasting, putting the spotlight on Napa Valley labels such as Pahlmeyer, Long Meadow Ranch, Crocker & Starr and La Sirena. In the mornings, the hotel's Running Concierge (yes this is an actual position) helps guests coordinate a run or walk through downtown Napa. Forgot your running shoes? No worries. Thanks to a partnership with New Balance, you can borrow a pair. Recognizing the wellness comes in many forms, the Westin Verasa presented a seminar by skincare and cosmetics entrepreneur Lydia Mondavi. She may be part of the Mondavi family, but Lydia's not making wine, she's created a line of skincare and color cosmetics from grape seeds, the antioxidant-rich byproduct of wine. 29 Cosmetics launched seven years ago as a color makeup collection, with skincare following. Lydia just launched a new line, 29 by Lydia Mondavi, a skincare line of 12 products, all grape seed based, at Target stores nationwide. In her seminar at the Westin, Lydia presented spring makeup color looks, demonstrating the techniques and teaching attendees how to do it themselves. "You can have your makeup done a million times but you come out of there, 'now what did she say to do?'" Lydia says. "We really want to educate the women on hands on - how you really do a great eye using brighter, bolder colors and how you do a bright, expressive lip without it being too bold." The color palate, orange, magentas, bright fuchsias and even blues are what Lydia is focused on for spring. "So many people are afraid to wear blue, they think 'oh no classic 80's' but we're gonna show them how to make their eye color pop with blues along with gray and white shades." 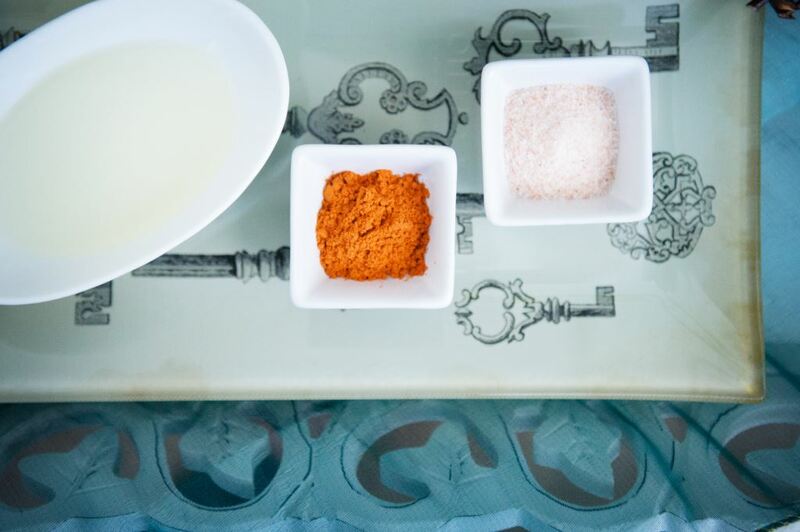 For Lydia, wellness and taking care of your skin go hand in hand. "The whole reason I created 29 Cosmetics is to have a line using natural cosmetics having one ingredient, grape seeds, that has beneficial results for your skin," she says. "As an antioxidant, grape seeds are "50 times more powerful than vitamin E and 20 times more powerful than vitamin C."
Another Westin Verasa seminar focused on superfoods, presented by Philosophie founder, raw foods chef and yoga instructor Sophie Jaffe. 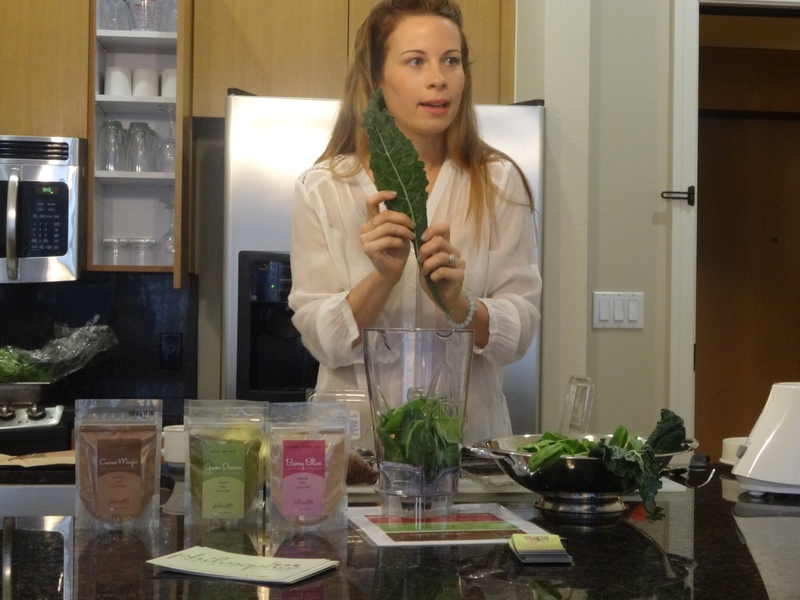 For her demo, Sophie made two smoothies using fresh, organic food and produce along with her Philosophie superfood powders. She says wine country is a great place to practice wellness. "Wine is beautiful in moderation. It's great for you to enjoy but counter it and balance it." Sophie, who is based in Los Angeles, has been creating cleansing programs for years. She found she was using the same ingredients over and over. So she developed her superfood powders so that "you can saturate your body with the best foods on earth even if you are in the middle of nowhere." Superfoods are packed with antioxidants and are nutrient dense. Some examples are kale, spinach, blueberries and quinoa. Using the powders is an easy, quick and convenient way to get more superfoods into your diet. The powders are great to take along when you are traveling or on days when you don't have time for a proper meal. We've all seen the green juices and smoothies, some are tasty, others not so much. 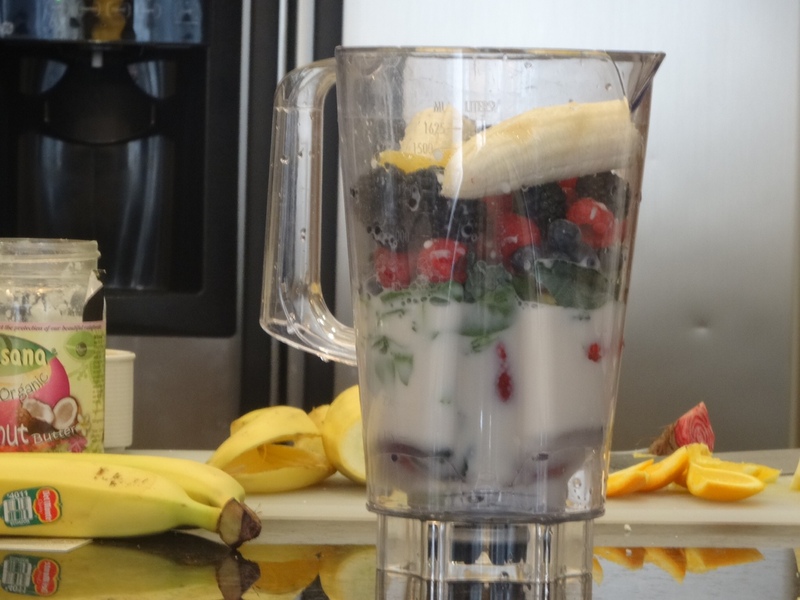 Sophie showed us a recipe for a very delicious green smoothie that has kale, spinach, banana, mango, almond milk and coconut butter to which she added Green Dream, one of her three superfood powders. She says Green Dream helps detoxify and provides a caffeine-free power boost. She adds it to everything - guacamole, soups and pesto sauce. "The powders are potent. I created them myself. They are all organic with fair trade ingredients. Green Dream has 10 grams of protein per tablespoon." Sophie also made a fresh berry smoothie using her Berry Bliss powder. Along with an assortment of berries, she also added beets and yellow squash. It was delicious too. She says you don't have to fast or cleanse with juice to feel better. The whole idea is to properly nourish your body, not starve it. After one serving of her Green Dream smoothie I feel more energized and yes, nourished. A French chateau in the middle of the vineyards is the perfect setting for a yoga practice. Sparkling wine house Domaine Carneros offers Vinyasa in the Vineyard. This alfresco morning class is a perfect way to gently kickstart your day with a program personalized for you and your group. There's a mix of seasoned instructors, including Christie Dafault, a respected sommelier who also practices yoga. After a series of poses and meditations in the vineyard, you'll end the practice sipping a flute of Domaine Carneros organic sparkling wine as you take a tour through the vineyards. You'll learn about winemaking and organic grape farming and more. Then a lovely and healthy outdoors brunch paired with Domaine Carneros sparkling and still wines awaits you at the winery's chateau. It's the perfect mix of relaxation and detoxing, balanced by bubbles. Meadowood Napa Valley created a special package called Healthiest Year Yet, where over the course of a two night stay, you can get fit and healthy in a variety of ways. One signature program is the Eco Fitness Class, which gets you out of the gym and into the woods surrounding Meadowood's private 250 acre property in the eastern hills of St. Helena. In this 90 minute workout you'll hike up to 4.5 miles through the resort's peaceful surroundings. At stops along the way you'll work out your muscles with shoulder presses and bicep curls. You'll do interval training and sprints along the way. It's all designed to "channel your inner athlete." In Napa Valley Vineyard 29 is known for crafting highly acclaimed Cabernet Sauvignon wines in a high tech winery. 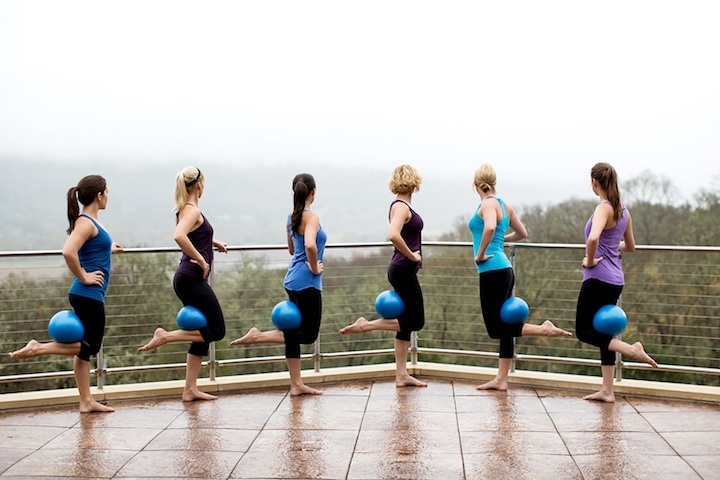 It's also becoming the destination for Pilates and Barre classes in wine country. The winery has teamed up with The Pilates Reserve, a Napa Valley Pilates studio, to create Pilates Essentials, a half day of working out, tasting and dining wine country style. Instead of sitting inside a winery, you spend a morning on the Vineyard 29 veranda, where vineyard views are your backdrop to an hour long workout led by Robin Monette, owner of The Pilates Reserve. The workout will boost your endorphin levels, preparing you to enjoy the winery tour and wine tasting and lunch to follow. Cool down as you sip house-made green juice walking through the caves and state-of-the-art winery, then soak up food and wine pairing tips in a one hour Tasting Essentials class. This will spark your appetite for a spa lunch to follow, prepared from locally sourced ingredients, all paired with wines from 29 Vineyards and CRU. All classes and food and wine experiences can be customized to you and your group's skill level and preferences. Also included, a mixed case of CRU wines for your group to share - Sauvignon Blanc, Pinot Noir and Cabernet Sauvignon - to uncork at home as a memento of your healthy, rejuvenating day in wine country. There's no better way to see Napa Vally than peddling through the vineyards, especially on roads that take you away from all the traffic on Highway 29 and the Silverado Trail. Howell Mountain is home to Ladera Vineyards, where you can Cycle the Road Less Traveled and taste wines from the winery's estate vineyards. A six mile morning self-guided ride takes you in and around the town of Angwin on quiet mountain roads (the route is mostly flat terrain) at your own pace. Once you arrive back at the winery a picnic lunch awaits in Ladera's beautiful gardens. After lunch, you'll tour the winery, which is one of Napa's historic "ghost wineries." You'll have worked up a thirst, which you'll quench tasting Ladera's powerful hillside Cabernets. Wouldn't it be great to be able to bike or walk up and down the entire Napa Valley, from Napa to Calistoga, without sharing the road with vehicles? Thanks to the efforts of organizations behind the Napa Valley Vine Trail, one day soon you'll be able to do just that. In 2008 Chuck McMinn of Vineyard 29 spearheaded a coalition to create a trail running from the Vallejo ferry terminal 47 miles north to Calistoga along the valley floor. "I didn't even own a bike when we started this," he says. "My wife and I always like to rent bikes whenever we travel. I could never understand why we didn't have a hiking and biking trail in Napa Valley." The Napa Valley Vine Trail is about 20% complete. When finished, the trail will offer locals and visitors alike a place to safely bike or walk and take in the beauty of wine country. This is sure to become a big tourist attraction as more of the trail is completed. 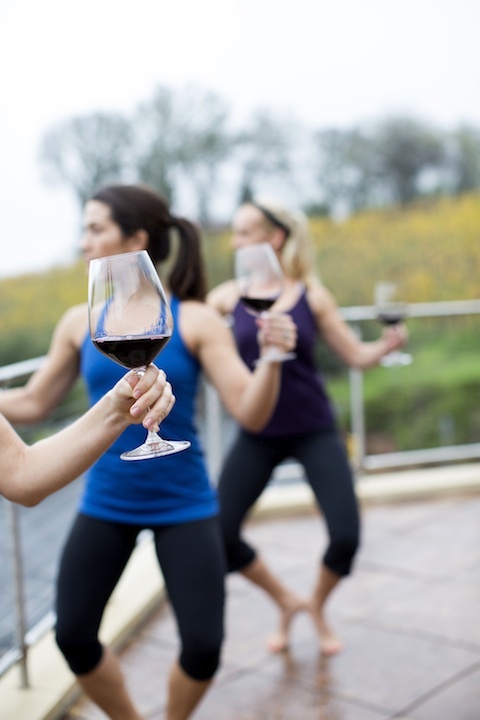 Just because you're traveling through wine country doesn't mean you have to miss a workout. One of the newest gyms in Napa isn't a traditional gym. Studio Phyzz puts the fun back into working out through a variety of classes and programs - everything from barre to kettlebells to TRX to Zumba. Owners Melanie McLaren and Nancy Barbash-Lerner have created an brightly colored space where the emphasis is "not just fitness, it's fun." With a variety of classes like R.I.P.P.E.D. - a fast paced workout that incorporates resistance, intervals, power, plyometrics, endurance and diet suggestions -- or Kettlebell Burn & Burn and Belly Dancing, you won't get bored by the same old routine. You don't have to buy a membership to experience Studio Phyzz - drop-ins are welcome. First time visitors can take one group class free of charge.